Livin' Easy is a painting by Jane Woodward which was uploaded on March 14th, 2013. 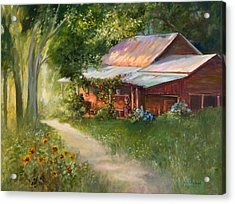 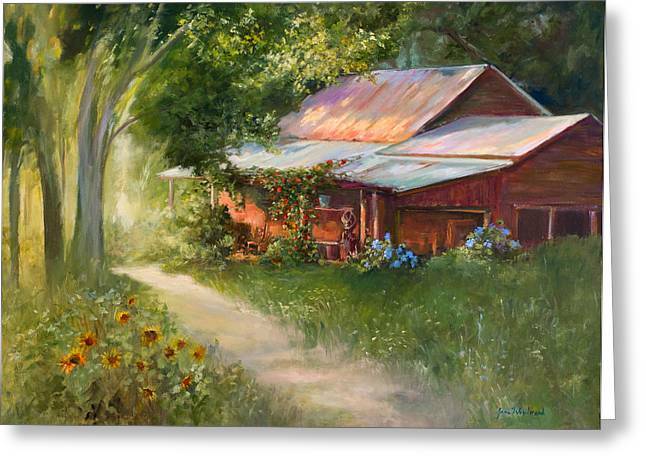 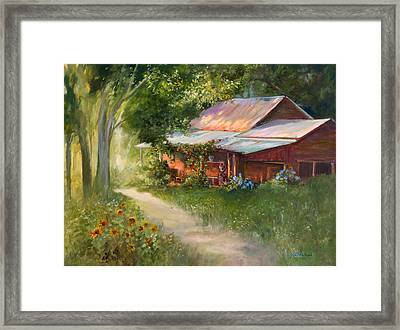 An old Country Barn country barn sits by the shade of a few trees and is bordered by flowers and a dirt road. I spent some minutes wandering down this path and looking around this rustic homestead... 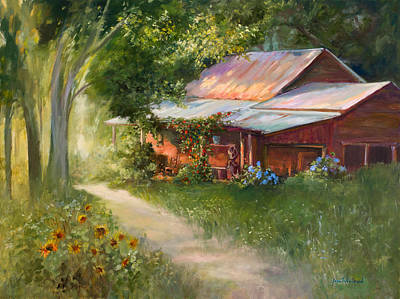 Very enjoyable scene and wonderfully painted!